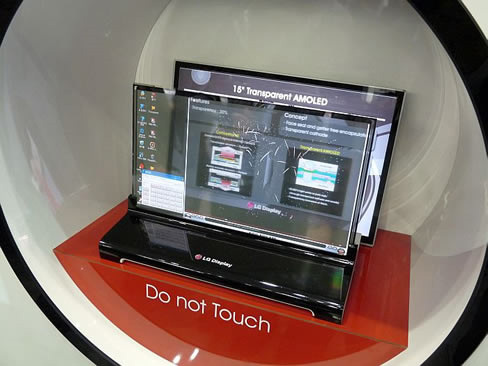 Many smaller electronic devices like high-end smartphones and PMPs are already coming with OLED screens. These screens consume less power than LCD counterparts making for longer run times. Another benefit is that an OLED panel tends to offer better colors than a comparable LCD. 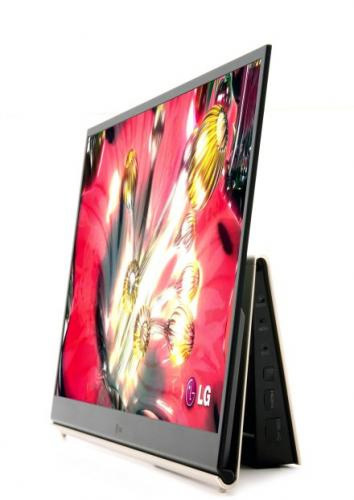 LG has announced at the FPD International 2009 show in Yokohama City, Japan that it will be launching a new 15-inch OLED TV on the market by the end of 2009. The set reportedly will have a resolution of 1366 x 768 and a peak luminance of 450cd/m2. The panel will use a bottom emission type and is constructed of low-temperature polycrystal Si-TFTs crystallized by a high-temp process. Consumers will have to wait until 2016 to see the price of OLED panels drop below the price of LCD panels. The reason is that a stable supply of large OLED panels at a low cost is unavailable today. Big challenges for OLED panels today include driver elements, organic EL materials, and the sealing process. According to LG, its OLED panels will use florescent materials until 2011 and then move to phosphorescent materials after 2012. When 2016 rolls around OLED panels will be 20-30% lower in material cost and have an equivalent yield to LCD panels today. In 2012, the OLED panel will have a 50% higher material cost and 30% lower yield than LCD panels.